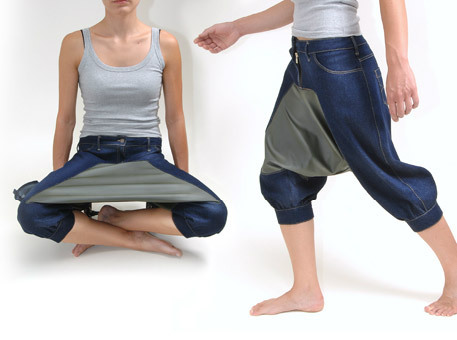 Pic Nic Pants by Italian design company Acquacalda. "Fashion imposes forms to whom finding a function seems a must. Pic Nic pants take advantage of the usual cross-legged position to become a comfortable surface useful for the consumption of a meal outdoors. Laterally pants have an orientable pocket for drinks." This is a lebanese cherwel!! !